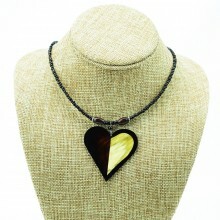 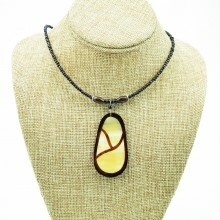 This handmade cow horn necklace is from Kenya. 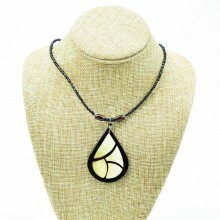 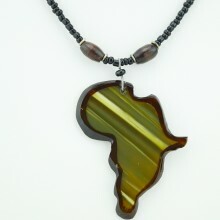 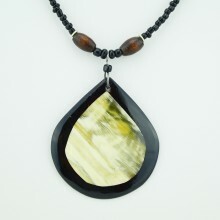 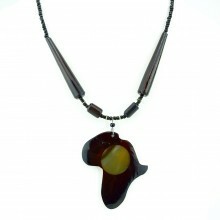 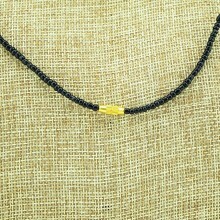 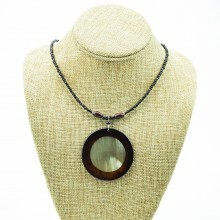 The upper half of the necklace is a strand of black Maasai beads capped by small brown wood beads. 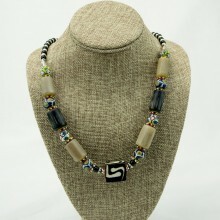 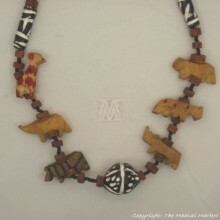 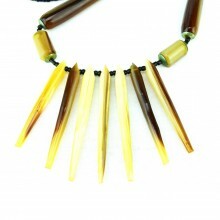 The wood beads are linked together with a series of five cow horn disk beads. 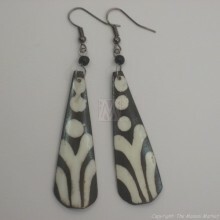 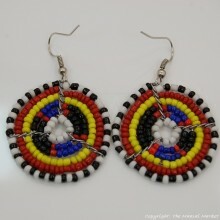 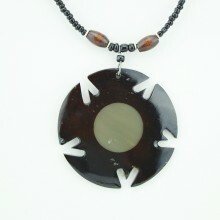 The four smaller cow horn disk beads are painted black and the large bead is stained brown. 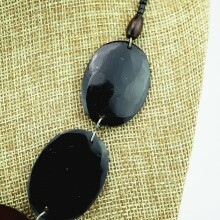 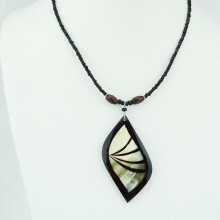 Since these necklaces are handmade, there could be a little variation from necklace in pictures. 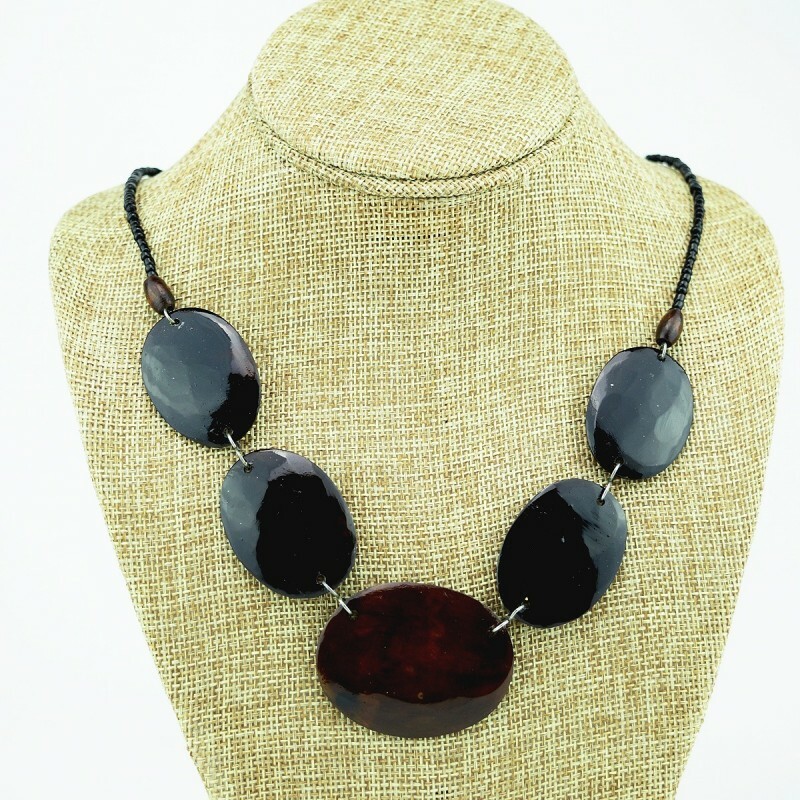 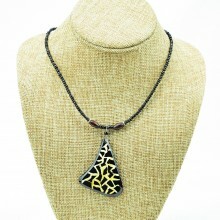 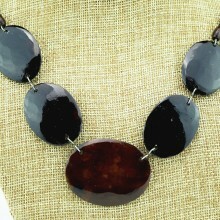 This necklace has a very classic look and will complement a variety of styles.